Apple recently launched their new 7th generation iPod Nano, this years iPod Nano comes with a new design and even has a home button like the iPhone and iPad, the guys over at iFixit have taken the device apart to see what is inside. 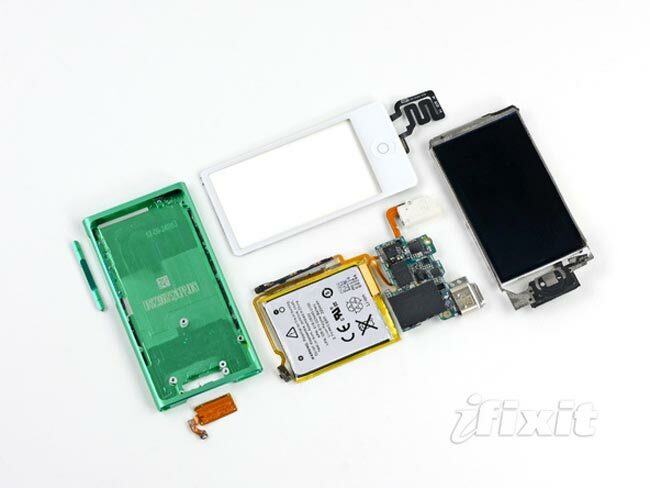 According to iFixit the iPod Nano’s battery, button cable, lightning connector are all soldered to the Logic board, ad the battery is also attacked to the back of the assembly which means the battery is hard to replace. Overall the iFixit guys gave the new iPod Nano a repair ability score of 5 out of 10, which means the device is harder to repair, although it is apparently easier than the new 5th generation iPod Touch, you can find out more details over at iFixit.